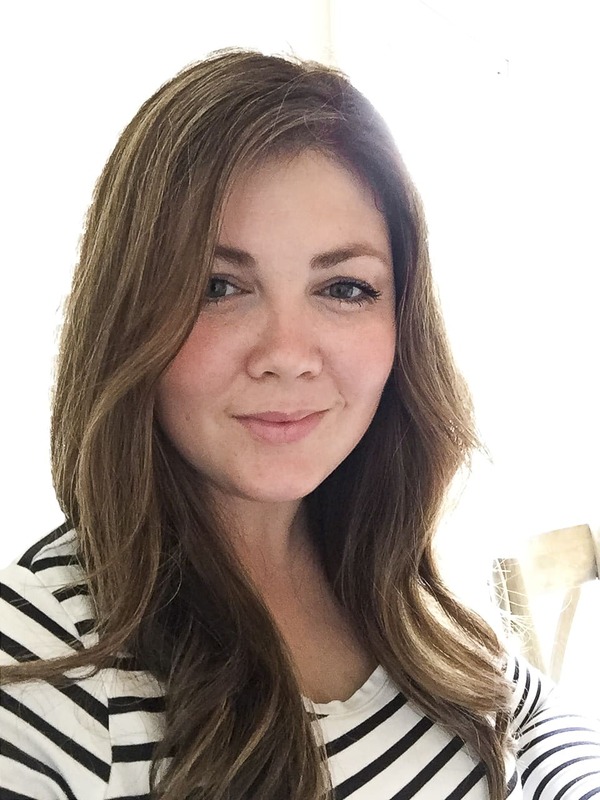 Today’s post is right up this pregnant girl’s alley! 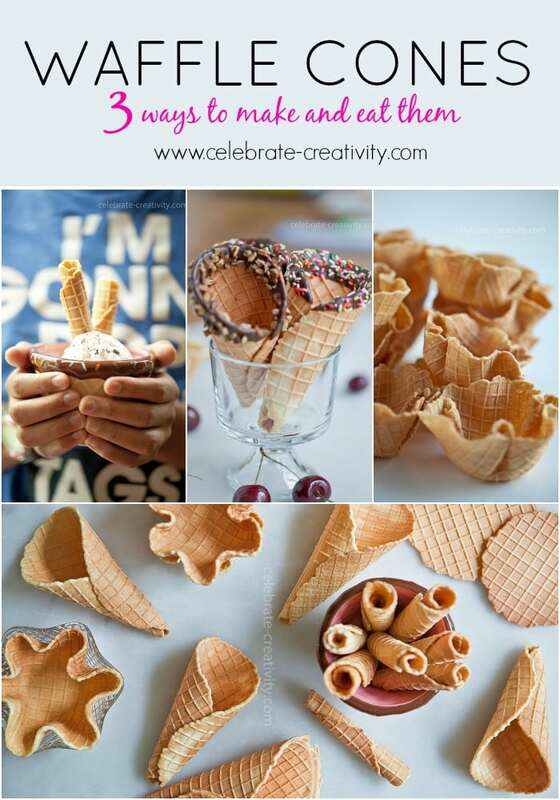 Lisa from Celebrate Creativity, is sharing 3 yummy ways to make and eat waffle cones. Is it hot enough for everyone? Well, I think this post will definitely cool you off. 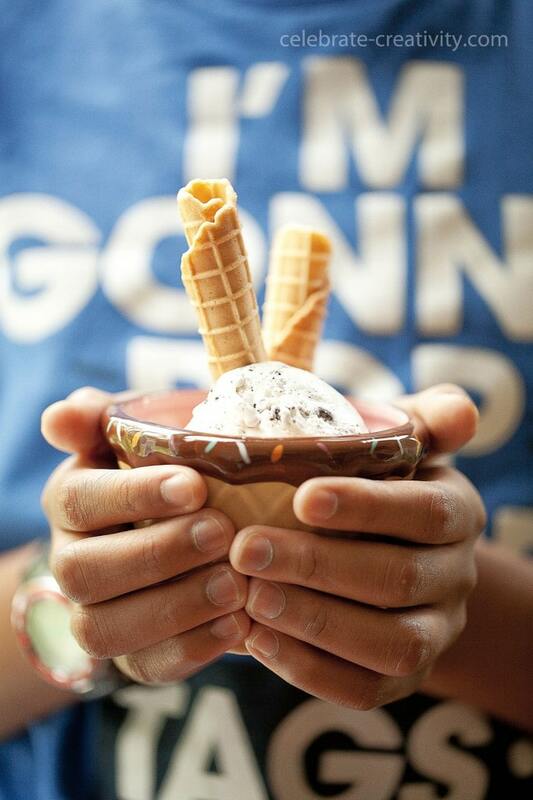 With this summer heat, perhaps nothing chills things down as sweetly as ice cream. 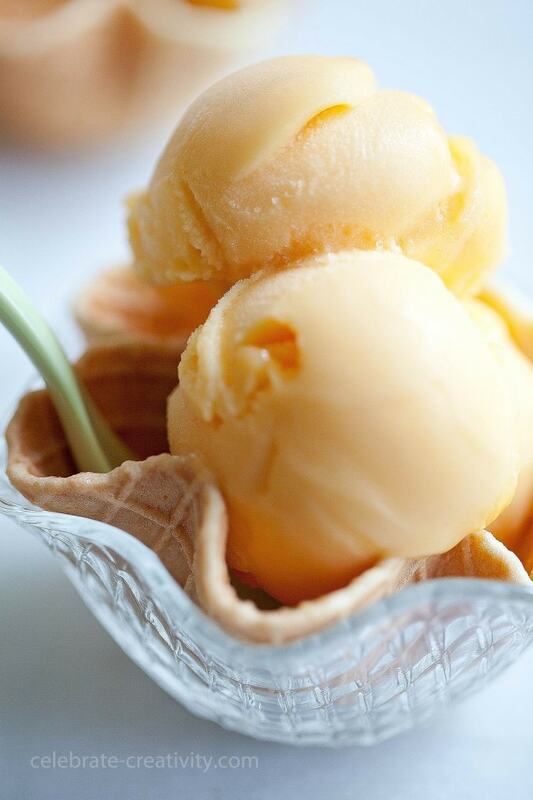 Pack that ice cream into a homemade waffle cone and you have one heck of a cool treat on your hands. Throughout this post, I’ll share three different ways you can enjoy homemade waffle cones to keep everyone smiling and coming back for more. Of course, you’ll need a waffle cone maker which you can find either online or many fine kitchen supply shoppes. They typically cost under $50. 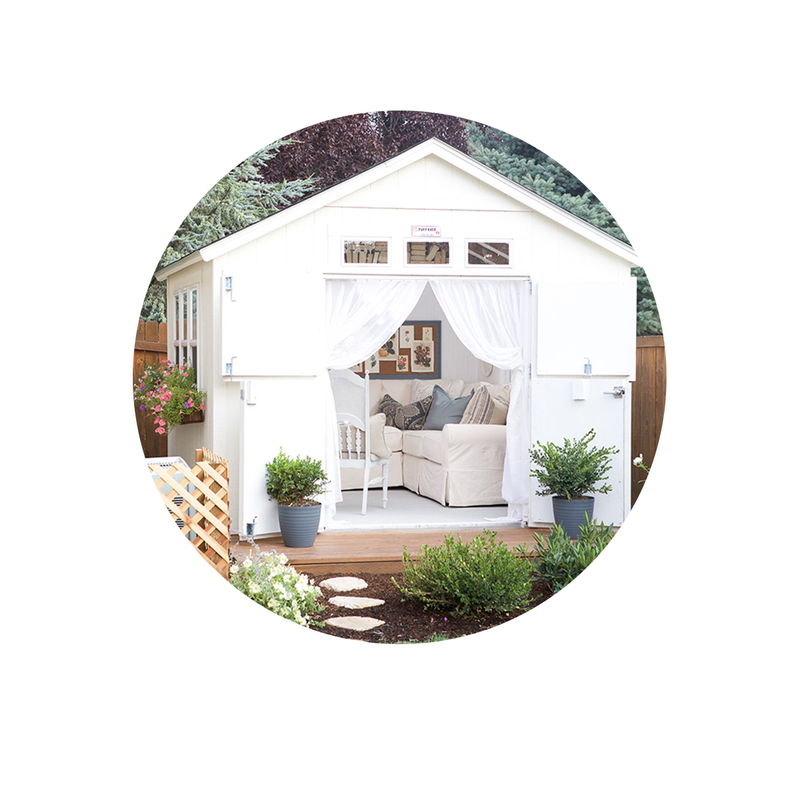 It’s worth the investment and you’ll use it over and over again. I’ve owned my waffle cone maker for more than a decade now and it still works as well as it did the first day I used it (and I use it a lot). 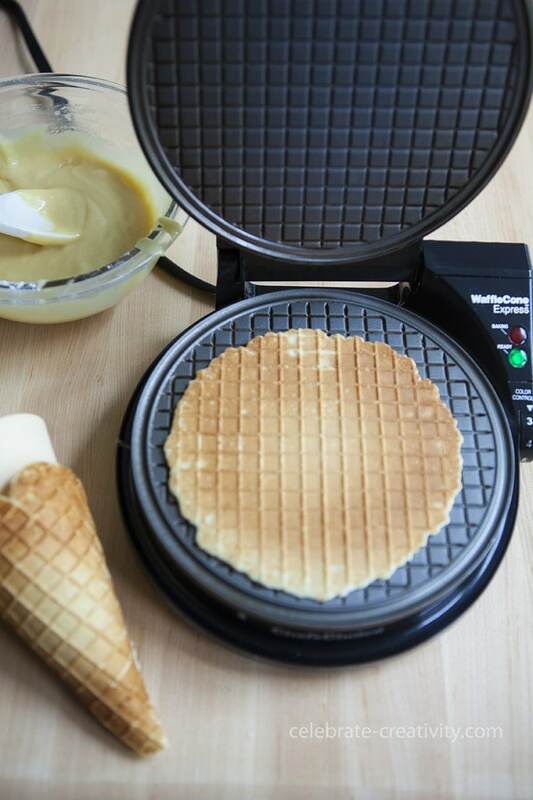 To make waffle cones, just place a few tablespoons of waffle cone batter on the hot iron bake for a few minutes. You can even set the heat of the iron to determine how light or dark you want your waffles. 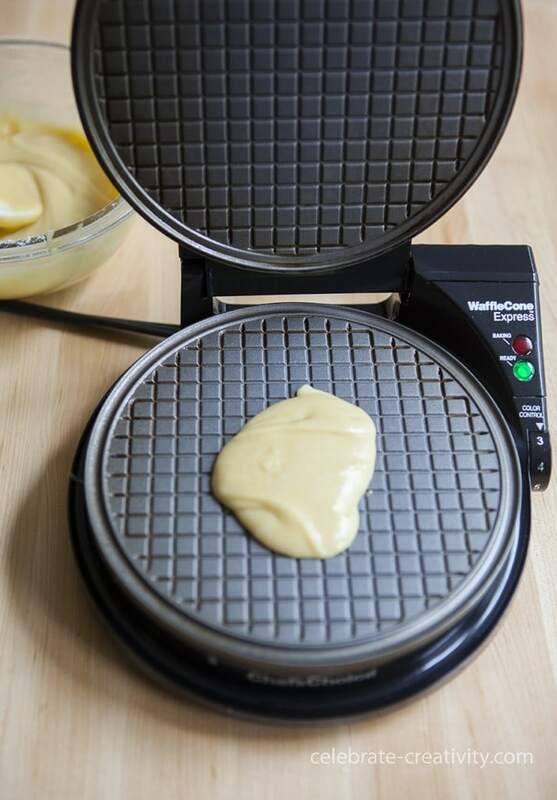 Remove the waffle from the iron and while it’s still hot, carefully roll the waffle over the cone mold that comes with the waffle iron. The waffles will harden as they cool off and since they cool very quickly, you’ll have to shape it just as swiftly. Embellish the cone edges with more goodness. 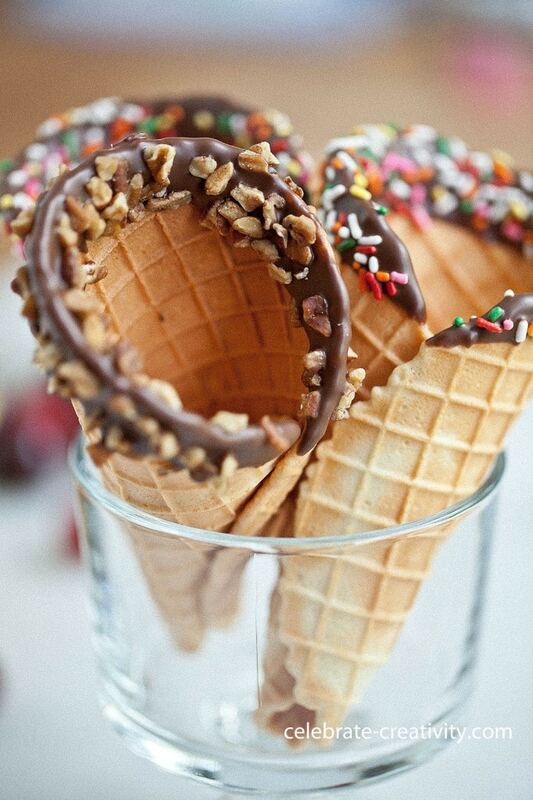 Melt chocolate wafers and dip the edge of the cones in the chocolate. Then dip in mixed nuts or sprinkles for a little more tasty color. 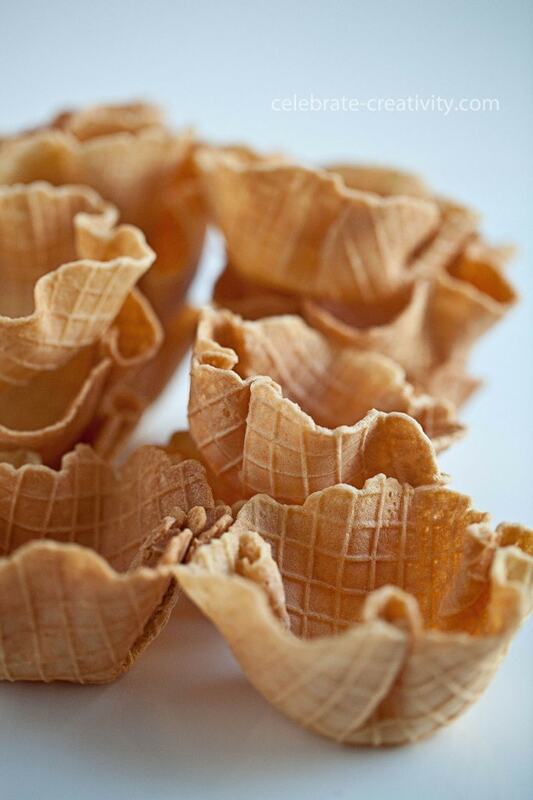 GIFT TIP: These homemade cones make lovely hostess or housewarming gifts. Just bag-up a half dozen cones in a clear goodie bag, add a bow and a homemade sticker and gift them along with a gallon of ice cream. I did that for new neighbors last year and they loved the unexpected and unique welcome. 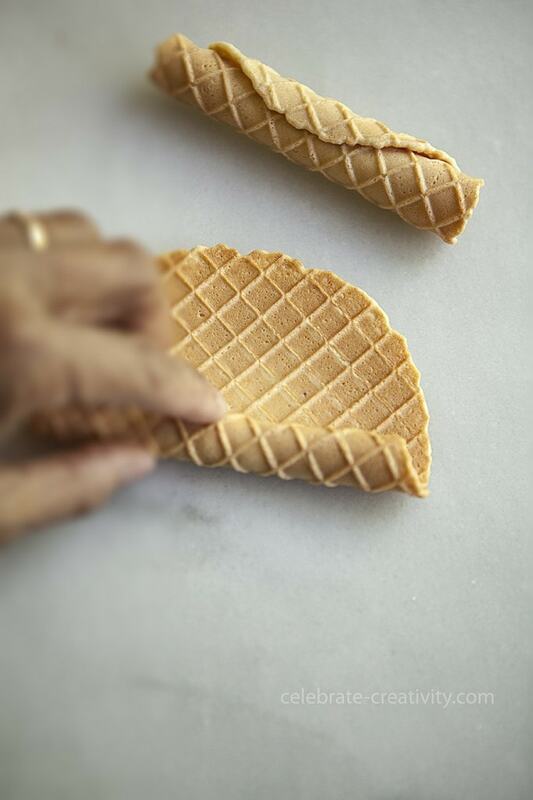 When you think of waffle cones, these may not be what you would normally expect but sticks are fun and just as yummy. Remember the waffle is pretty hot so work carefully and quickly. Remove the waffle from the iron and roll the end as tightly as you can and continue to roll it to form a stick. Hold the end in place until the waffle cone cools and hardens. After you roll the sticks, simply add them to several scoops of ice cream. Use the waffle sticks like spoons to scoop up the ice cream. Dip the tips in melted chocolate for added decadence. 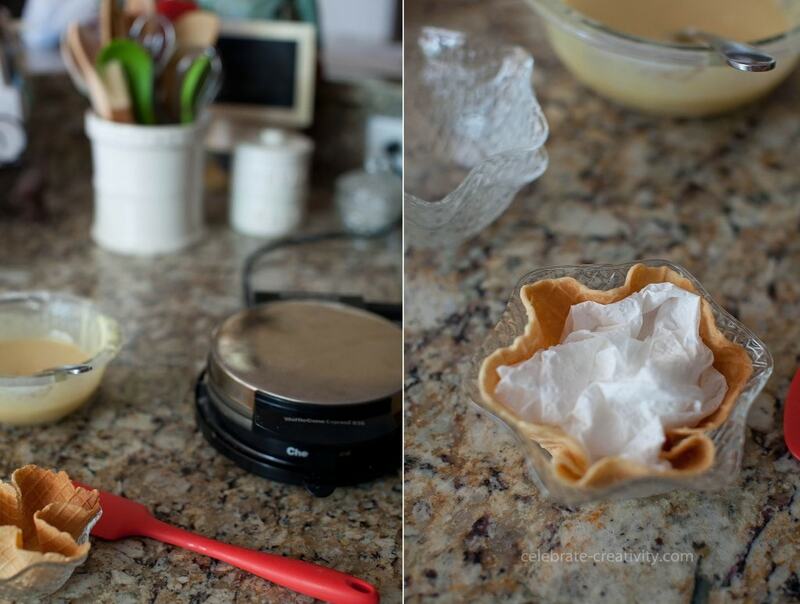 You’re going to love making waffle cone bowls. One of the coolest things about making these cones is that when they come off of the hot waffle plate you can shape them any way you like. Drop the waffle directly into a bowl as soon as you take it off the hot iron. 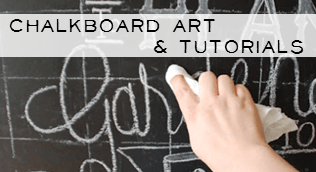 Use a balled-up paper towel to press the cone into the shape of the bowl. Make a surplus of waffle cone bowls so you’ll have enough for everyone for your next party or outdoor barbecue. I served these after a Super Bowl party a few years ago. The kids got cones and the adults got the bowls. Big hit all around. These are especially pretty when filled with colorful sherbets. Edible bowls are just as fun to eat too. As you can see, it’s pretty easy to make waffle cones three different ways to suit you or the occasion. Trust me, your friends and family will love them whatever way you decide to serve these cones up. Be sure to check out my tutorial for making waffle cone holders to keep little hands from getting sticky. I’ve included a cone holder template you can download to make your own. Also, if you’re in the mood for for even more delicious cones, consider some with a sugar cookie twist. 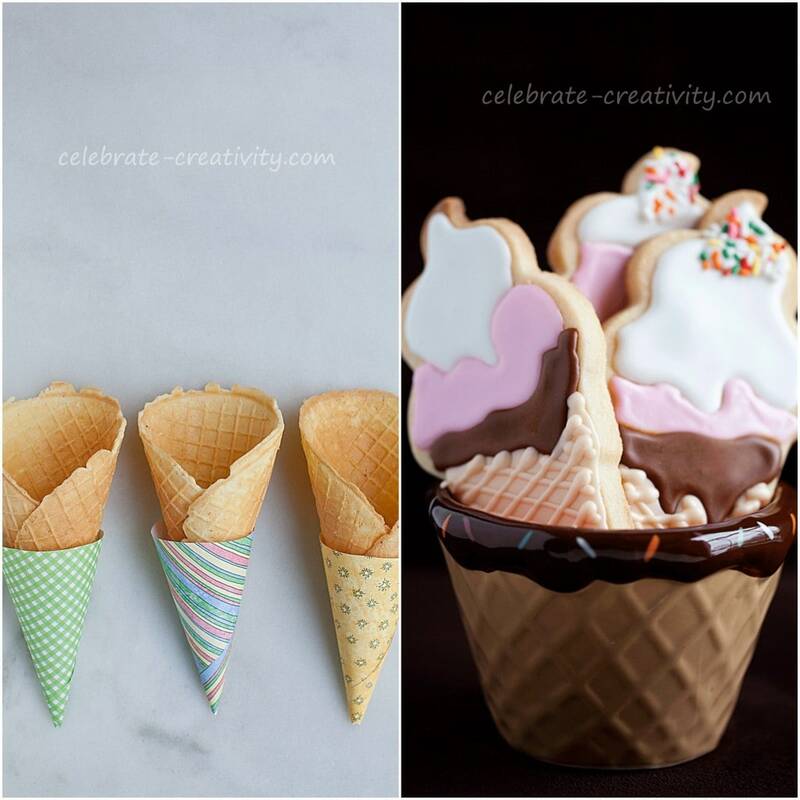 You’ll love my ice cream cone sugar cookies which are as fun to make as they are adorable. Yum! 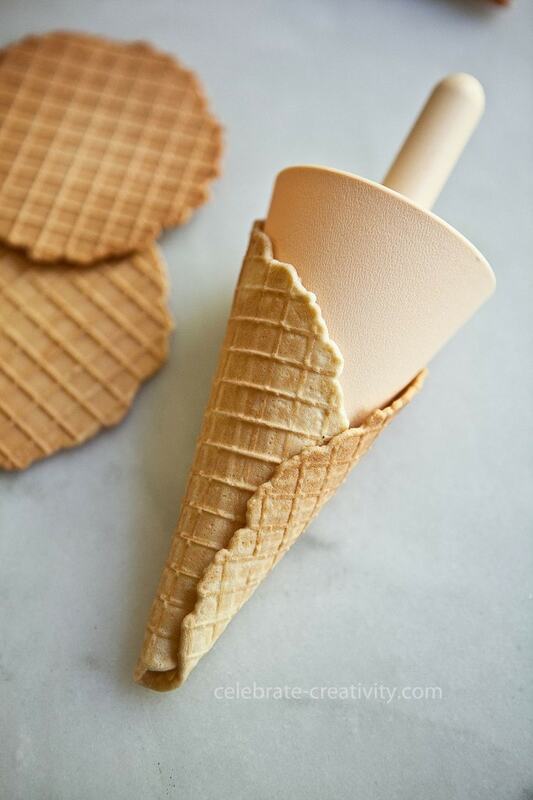 We love waffle cones, and I’ve honestly never considered that we could make them at home. 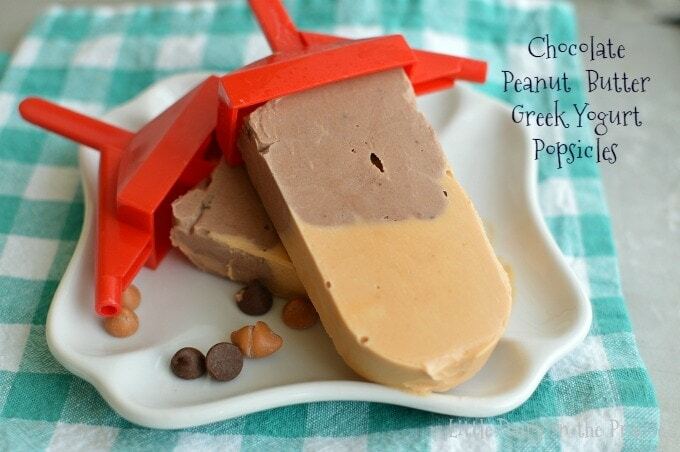 What a fun and delicious idea! We eat ice cream every day during the summer at our house! Sometimes it’s even twice a day! 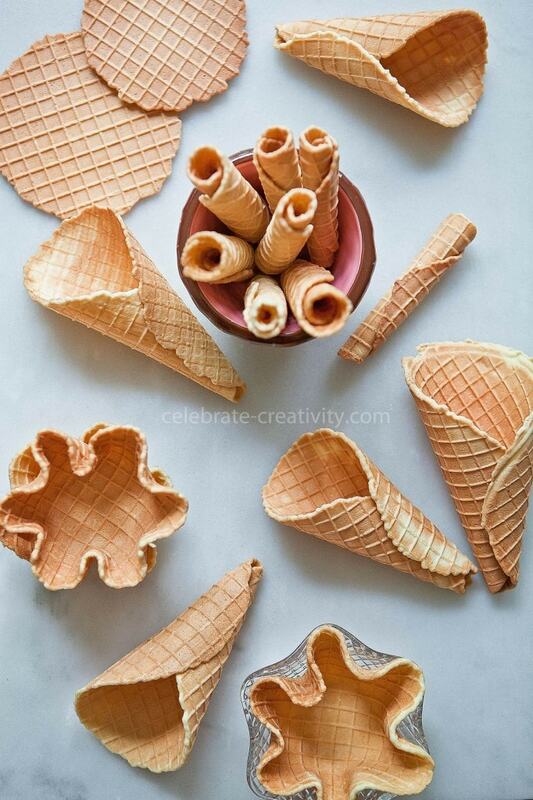 My family would fall in love with these fun ways to eat waffle cones. I’m headed to amazon right now to shop for a waffle cone maker! Thanks for the fun ideas! !